Grassington bunk barn is an ideal base for exploring grassington and the yorkshire dales and is perfect for individuals and groups and walkers and cyclists. At almost 1000 feet altitude, with spectacular panoramic views of Wharfedale, our bunk barn above Grassington is a magnificent spot offering comfortable budget accommodation for groups of up to 34 people. 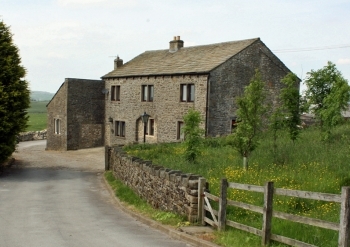 Grassington bunk barn is an ideal base for exploring grassington and the yorkshire dales and is perfect for individuals and groups and walkers and cyclists.